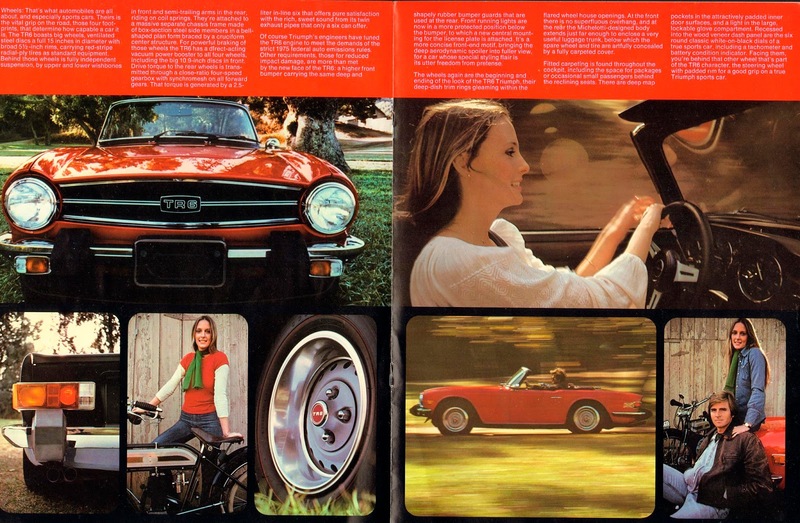 by Brian -- The TR6 was one of the last great British roadsters to come to America. The TR6 has all of the key components we all desire in a roadster --it's British, is has classic looks and chrome bumpers. This car appears to have lived a very sheltered life, but the seller is looking to unload it for a cheap price. With some elbow grease you could easily come out ahead on this TR6. 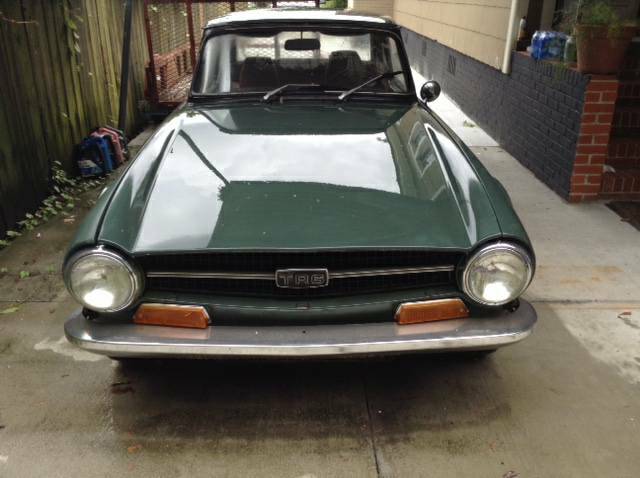 Find this 1972 Triumph TR6 offered for $5000 in Mobile, Al via craigslist. British racing green is the roadster color of choice. The paint looks nice, but I think that with a good buffing, the paint would present very well. The bright work and the hardtop look fantastic and the overall cleanliness of this TR6 and its low mileage shows this car has been well cared for in its past. The seller claims the car has been sitting a while and will be in need of having the brake system and fuel system refreshed. Although there are no pictures of the 2.5L inline 6 and its 4 speed over drive gearbox, the cars overall cleanliness and low mileage leads us to think the drivetrain and engine bay are equally as clean and well cared for. With some TLC, the value of this TR6 would increase tremendously assuming the mileage and condition are what they appear. The TR6 being the last of the great British roadsters has insured this cars place in collector car history. 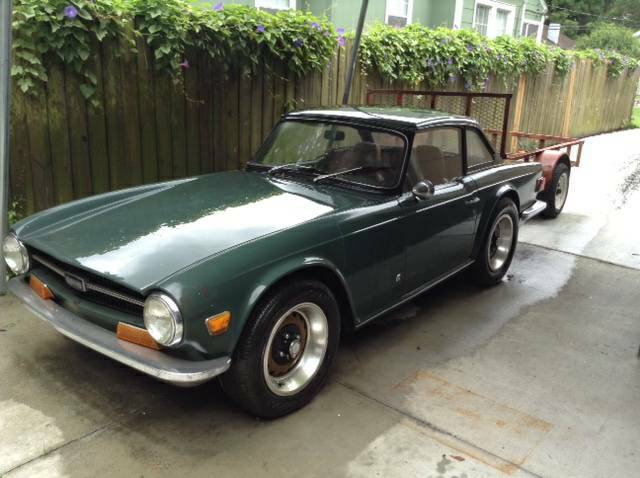 The price tag seems a bargain for the package, and warm weather is upon us, so don’t let this clean TR6 slip by. That could be the buy of the month at that price, although the lack of pictures of the interior or under hood keep me suspicious. If the engine is healthy (after the carbs attended to) and the interior is even rebuildable, that's a decent price as these have been starting to claim higher prices lately. In my opinion this is the perfect condition of a car. Not perfect but a great looking driver that you can just enjoy. Wow that seems like a really good deal considering how dent free it looks, everything is likely there and prices on vintage cars are climbing fast! Assuming there's not a bunch of tinworm (the British national insect) hiding somewhere, yeah, someone ought to grab it.